While you may be doing your best to improve your life, you may otherwise be ruining it with your unawareness. Each Zodiac Sign has specific traits and flaws. However, sometimes the personality configuration your Zodiac Sign gives you might be leading you towards unhappiness if it’s not wielded properly. 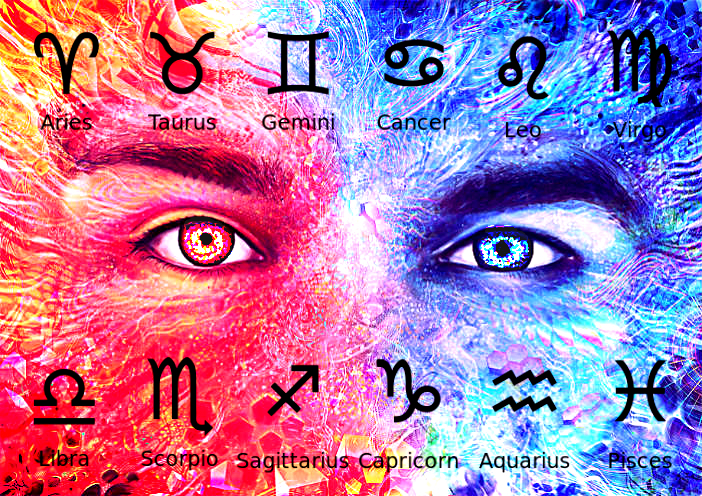 Find out how you might be ruining your life by checking your Zodiac. Keep an eye on your negativity and pessimism. If left uncontrolled, negativity and pessimism may cause you to ruin your life. Small things have the tendency to affect you in a negative manner. To stay balanced, you need to manage your anger and temperament. Let the little things go and keep in mind that not all things are worth your anger. Focus on loving yourself more. The more you focus on the positivity in you, the less you are likely to get upset. Be not a control freak. You have a tendency to freak out when you feel things are out of your control. Try to let loose and live life to the fullest. Not all things are under your control so there’s no need to hold everything tightly. Or else you will put your standard of living at risk. While staying in your comfort zone makes you tick, settling there will keep your life dormant. Don’t stay too much as a settler because progress only comes with change. Monotony prevents growth. Unless you change your mindset, you’re up to wreck your life. Get out of your comfort zone and embrace change. Never forget yourself while helping others. You tend to focus on the needs of other people, their feelings, emotions, and well-being to the point of forgetting your own needs. While this is a positive trait, if done overboard, it has a possibility of causing your downfall. When you are too busy helping others reach their destination, you will find yourself, one day, being left behind. And it might be too late. Try to open up yourself and never shut others out. You have a tendency to be stiff as if you don’t feel anything. You don’t open up your self and share your emotions with others. While keeping unaffected is helpful at times, doing it often makes you appear inhuman. People couldn’t relate to you on an emotional level which pushes them to stay away from you. Learn to open yourself up because relationships thrive on sharing each other’s emotions and feelings. Watch out for that blame game with yourself. You couldn’t help from blaming yourself for everything that doesn’t go well in your life. Enumerating your shortcomings and faults as a result of your incompetence and mediocrity don’t solve things. You forget that being the best is not a guarantee that everything will turn out as expected. Thus, you need to stop kicking yourself in the gut. Try to get easy on pleasing or impressing others. Others play a big part in your life. In fact, you tend to live your life for them. You shape your life according to people’s opinions and comments. Forgetting to judge your life based on your own standards is harmful to your well-being. No one has the power to give you that except yourself. Remember, others are busy with their lives too and may even fail to care about you. Check out how you value and love yourself. There’s nothing wrong with pampering yourself a bit. It’s not selfish, it’s self-nurturing. When you devalue yourself or anything that you’ve done, you are close to failing in this cutthroat world. Stop being complacent. Be not left behind. Let not the fear of failure stop you. The path to success is littered with the pebbles of failure. If you fear to experience these failures, you already stop before you even begin. Taking risks and moving on regardless of circumstances is what you must do to experience the grandeur and magnificence life has to offer. Unless you conquer your fears, your life is bound to fail. Fight the temptation of looking outside instead of inside. Life is not a competition where you must keep on comparing yourself with others. Seeing others succeed does not mean you are less of a person or the lesser species. This means while they can do it, so can you. When you put more focus on your strengths and in everything you can do, success will be with you sooner than you could even imagine. If there’s something you must take from the past, it’s the lessons it has provided you with. Dwelling on your past failures is wasting the precious moments where you can do more. Once you learn to live in the present moment, you will find that you have the ability to do things to your own advantage. Every single day is a blank slate where you can write anything you want. Start there and believe that your past doesn’t define your future. Be aware of who you surround yourself with. Surrounding yourself with the wrong people is the greatest mistake you can do to your life. Wrong people doesn’t necessarily mean bad people. They’re just the people who couldn’t help you maximize your potential. When you hang out with the right class of human beings, you will have the capability to stop your life from becoming a failure.